I am such a creature of habit when it comes to my eyebrows and I had never tinted them... that was until the Maybelline Tattoo Brow was released a few weeks ago. 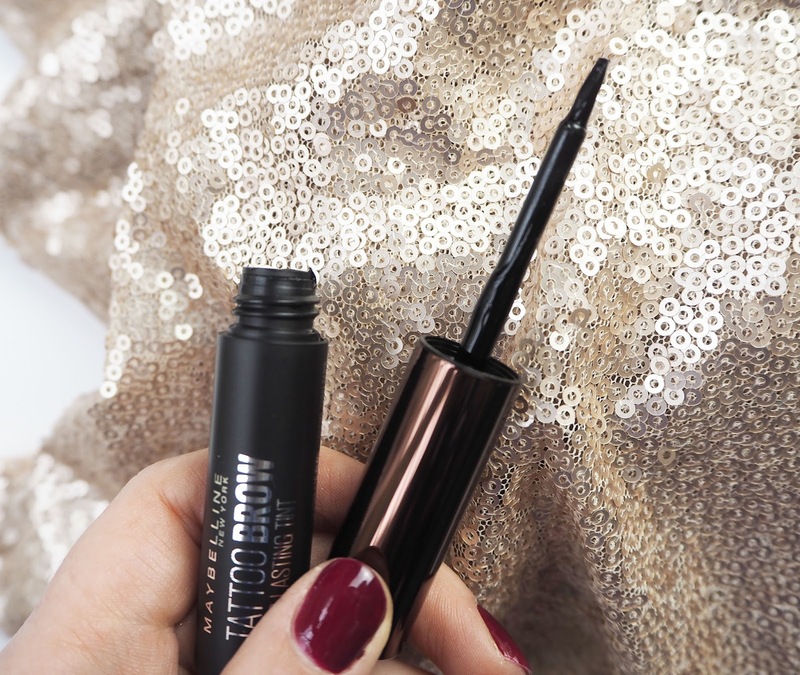 This product is a peel off tint which has been designed to last for up to three days, this interested me because it meant my brows would look decent even on days where I didn't wear much make up. It comes in a tube with a little brush to apply it and the tint itself is a gel consistency. At £12.99 I didn't think it was too badly priced for a product that will get your several uses, usually to get your brows tinted just once professionally you're probably look at something similar to that price. So the idea is you brush the tint on, wait at least 20 minutes for it to dry down and then peel it off. Sounds easy right? Well, I'll admit its not a completely smooth journey. My first problem with this was the brush itself, its not very easy to control which I think iss because the bristles are quite long and flimsy so it takes a little work. My brows are quite thick and I struggled to be precise so if you have thinner brows you may find this a little fiddly to use. My second issue was the consistency of the tint, as I said its a gel but I found it didn't glide on as easily as I would have hoped and I needed to spend a little time making sure it was spread evenly through the hairs. However, I wouldn't say this would put me off using or even buying it again so keep that in mind. On the packet it says you need to leave it on for at least 20 minutes but if you want the results to last 3 days you would need to have it on for 2 hours. Personally I haven't left it on that long because I know what I'm like with things like that and would be likely to forget I had it on at all! After around twenty minutes I began to peel it off. It didn't come off in one go and instead came off in little bits which wasn't ideal but eventually I managed to remove it all (along with the odd eyebrow hair!). It leaves behind an even looking tint and the shade I picked, Dark Brown, is a good match for me. I'm pleased it doesn't leave a reddish colour behind like lots of brown eyebrow products do as that can be a little frustrating. The colour range itself isn't particularly excessive and there are other two other shades in the range bringing it to a grand total of three, hopefully they will release a few more further down the line. Longevity wise the tint stayed looking good for two days which considering I only leave it on for 20 minutes I don't think is bad at all. My brows looked tidy meaning several minutes were taken off my day to day make up routine. 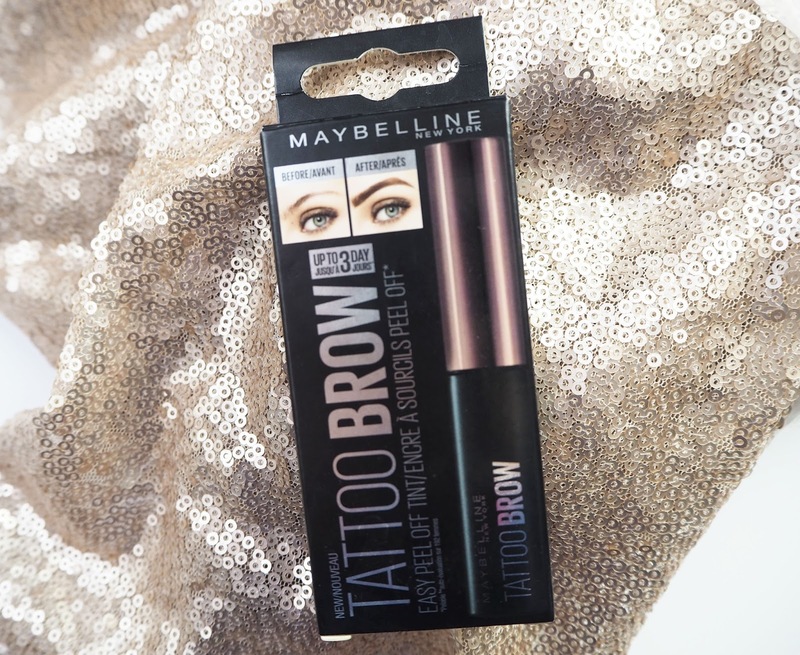 I do like this product but I haven't been using it loads, I think because I do like filling my brows in daily meaning I get to use different products in my collection. However, I feel this product will definitely come in handy for times when I'm away from home for a few days as I can tint them before I go and leave it at that! 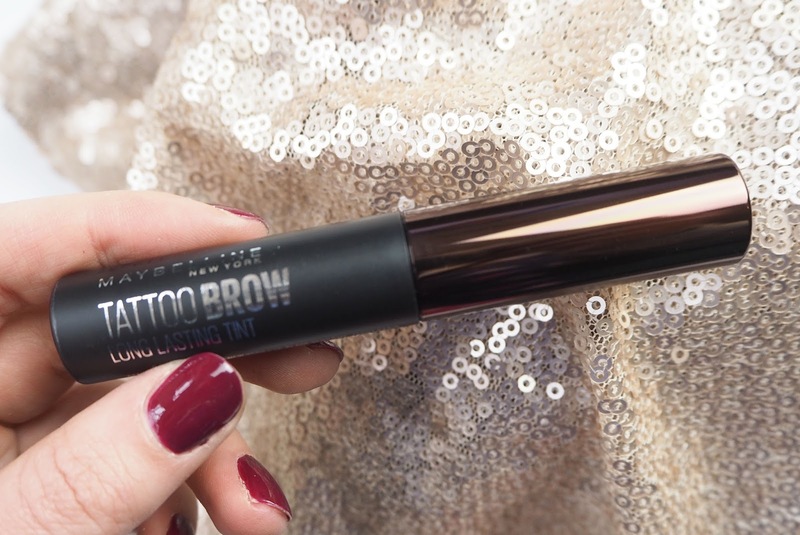 What did you think of the Maybelline Tattoo Brow?